Acting IRS commissioner Danny Werfel told Congress Thursday that progressive groups seeking tax-exempt status were inappropriately flagged by IRS officials, in addition to tea party and conservative groups. At the same time, a letter from a Treasury Department watchdog to Congress suggests that while progressives were flagged, tea party groups were subject to a much higher level of scrutiny. 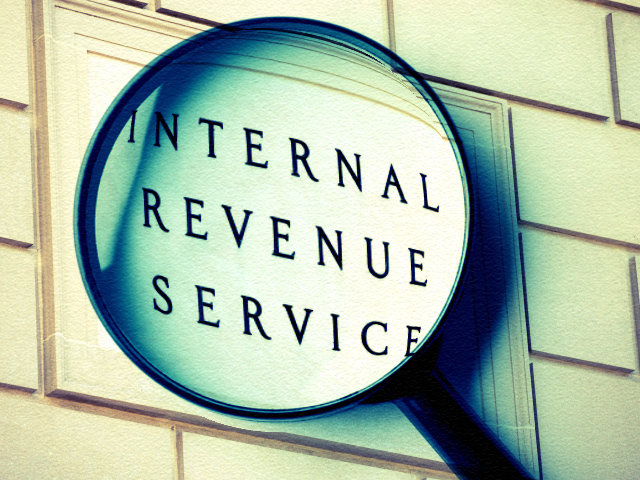 Testifying before the House Ways and Means Committee, Werfel acknowledged that the word "progressive" did appear on a "be on the lookout" (BOLO) list that IRS officials used to target groups for further scrutiny. "The types of political organizations on these BOLO lists are wide ranging, but they do include 'progressive,'" he said. Meanwhile, in a letter released Thursday, J. Russell George, the Treasury inspector general for tax administration (TIGTA), noted that out of the 298 groups set aside for a closer look between May 2010 and May 2012, only six had the words "progress" or "progressive" in their names. "In total, 30 percent of the organizations we identified with the words 'progress' or 'progressive' in their names were processed as potential political cases," George wrote to Rep. Sandy Levin, D-Mich., the top Democrat on the Ways and Means Committee. "In comparison, our audit found that 100 percent of the tax-exempt applications with Tea Party, Patriots, or 9/12 in their names were processed as potential political cases during the timeframe of our audit." In Thursday's House Ways and Means Committee hearing, Committee Chairman Rep. Dave Camp, R-Mich., urged any progressive or conservative groups with complaints about unfair IRS scrutiny to come forward. "It's clear the IRS is a broken agency that needs to answer to the American people," he said. Nevertheless, Camp and other Republicans on the committee said that the emphasis put on conservative groups suggests there was intentional wrongdoing -- even though Werfel said he's found no evidence of that so far. "To the question of how you found evidence of any intentional wrongdoing, the answer is no we have not," Werfel said. IRS officials "could be mistaken, they could be incompetent... in how they think they are appropriately carrying out their duties," he said, "which is different than saying, 'I know this is wrong but I'm going to carry it out anyways because of my agenda." Werfel stressed in his testimony that investigations are still ongoing. Camp said he found Werfel's assertion "perplexing," given the evidence George cited in his letter. Democrats, meanwhile, criticized George for failing to note before this week that progressive groups were flagged at all. Levin said George should come back before the committee to testify as to why he didn't reveal that earlier. "We learned [this week] for the first time that... the screening list for IRS included the term 'progressives,' progressive groups... received heightened scrutiny, [and] the inspector general did not research how the term 'progressives' was added to the screening list," Levin said. George's failure to examine the targeting of progressive groups was a "fundamental flaw" in the oversight process, Levin said, and "has contributed to the distortion of the entire investigation, including use of innuendo and totally unsubstantiated assertions of White House involvement." Levin also noted that the inspector general specifically investigated the treatment of tea party groups at the request of House Oversight and Government Reform Committee Chairman Darrell Issa, R-Calif.
"The notion that the selecting out was only to tea party [groups] and not progressives is simply incorrect," he said. Werfel, who on Thursday presented Congress with a 30-day IRS progress report, said the agency is still in the "fact gathering" stages of the investigation into the misconduct. In the meantime, he said, the IRS has established a new, streamlined path to tax exempt status for applicants who have been stuck in an IRS backlog for more than 120 days. Those applicants will be approved if they agree to limit their political operations appropriately. In his report, Werfel also requested a $1 billion budget increase for the IRS. Camp called the request "insulting to taxpayers," given the recent reports about the agency's lavish conferences and other misuses of funds. Camp said the agency "will not see one more dime in taxpayer funding" until it can prove it is using its funding responsibly. Rep. Paul Ryan, R-Wis., noted that the totality of federal tax dollars collected from residents of his home of Rock County, Wis., wouldn't be enough to cover that $1 billion increase. "Don't forget you work for the taxpayers, not the other way around." Werfel noted that the agency has already started cutting back on excessive spending and has made significant budget cuts. "There are more cuts to be made," he acknowledged, while adding that the "broader macro point" justified the budget increase request. "We still have an indispensable mission to enforce the tax code, to go after fraud," he said.